This Remembrance Weekend, we're using the 1939 Register to look at the jobs held by a number of WWII Victoria Cross recipients before they became national heroes. Christopher Furness, Lieutenant Welsh Guards. Christopher Furness was the eldest son of Marmaduke Furness, a 'peer of the old realm' before the war started. He is recorded in the 1939 Register as he was evidently at home on leave on 29th September 1939 which is why he appears in the records with his rank as his job. His home life was obviously a comfortable one: his family appear to employ around 10 servants, including a kennel maid. Unfortunately, the war put paid to this, as winning his Victoria Cross cost Lieut. Furness his life, as his citation records. "During the period 17–24 May 1940 near Arras, France, Lieutenant Furness commanded the Carrier Platoon when his battalion formed part of the garrison of the town. On 23 May the platoon was ordered to cover the withdrawal of the transport (over 40 vehicles) to Douai. 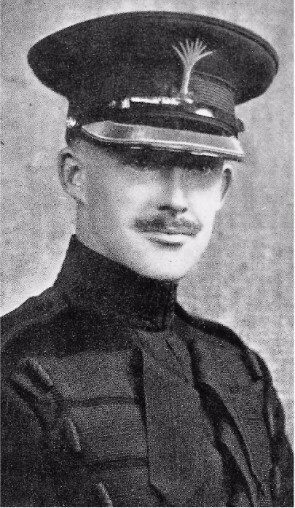 Early on 24 May the enemy were advancing along the road where the transport columns were moving and Lieutenant Furness decided to attack. He reached the enemy position under heavy fire and when the light tanks and all the carriers and their crews had become casualties he engaged the enemy in hand-to-hand combat until he was killed. His fight against hopeless odds made the enemy withdraw temporarily and enabled the vehicles and survivors to get clear." George Gunn, in September of 1939, was a company secretary for a firm in London. As the 1939 Register also records, he had been attested for an Army Commission earlier in the year and was awaiting a date to start his training. 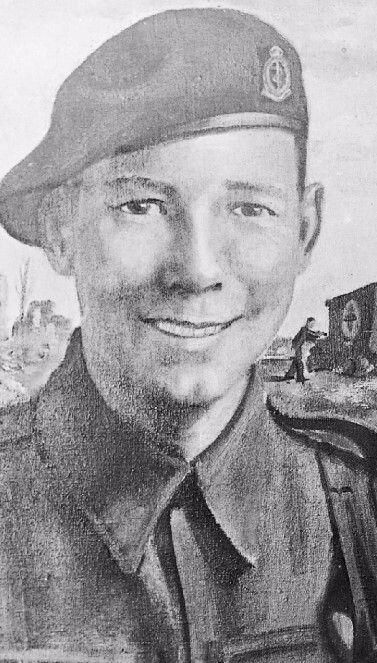 From these humble beginnings, he rose to command a battery of self-propelled anti-tank guns in North Africa, where his troop won a battle honour and he won his Victoria Cross. 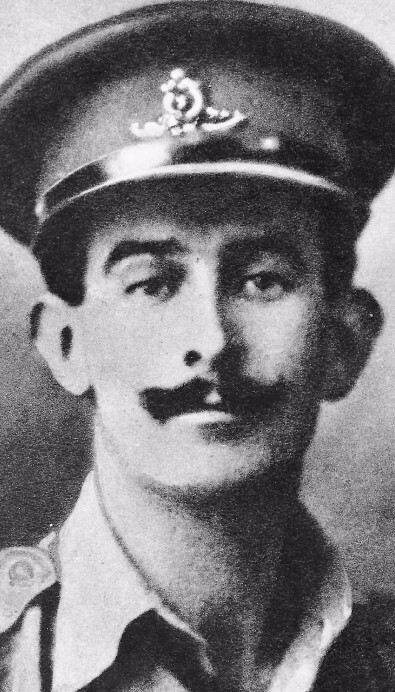 Another posthumous VC winner, Gunn won his VC manning a gun until his death against a German armoured attack. "On 21 November 1941 at Sidi Rezegh, Gunn was the commander of A Troop of J Battery. These four QF 2 pounder anti-tank guns mounted portee on trucks were part of a battery of twelve guns attached to the Rifle Brigade. An attack earlier in the day was driven off but the main attack was by 60 German tanks. Gunn - in an unarmoured vehicle - drove between the guns under his command, encouraging and reorganising them as the battle progressed. Three guns and their crews were already knocked out when the last was hit. Except the sergeant, the crew were dead or disabled and the vehicle set alight. The battery commander Major Pinney attacked the flames and Gunn crossed the enemy fire to join him. Gunn took over the gun aiming and firing it with the sergeant acting as his loader. Despite enemy fire and the danger of the flames exploding the ammunition with which the portee was loaded, Gunn fired 40- 50 rounds from the QF 2 pounder gun and set two enemy tanks on fire before he himself was killed by being shot through the head." Harry Harden has a real 'ordinary fellow to war hero' story, as he is employed as a butcher's slaughterman in 1939. It seems that it was Harry's lot to be a medical man, as his register entry has him as a St John Ambulance volunteer in 1939, so it is unsurprising that he ends up conscripted into the Royal Army Medical Corps during the war. Harden's actions to win were selfless in the highest regard, as medical staff in the British Army in WW2 did not carry rifles. As such, when reading this citation, bear in mind he was not armed for this encounter. "On 23 January 1945 during Operation Blackcock, at Brachterbeek, the Netherlands, three marines of the leading section of the Royal Marine Commando Troop to which Lance-Corporal Harden was attached fell, wounded. The Commando section had come under heavy machine-gun fire in the open field that morning, and the men were seriously wounded. One of the casualties was Lieutenant Corey. Under intense mortar and machine-gun fire Harden was wounded in his side as he carried one man back to the aid post, which had been set up in one of the houses along the Stationsweg in Brachterbeek. Against the orders of another Medical officer he then returned with a stretcher party for the other two wounded. Bringing in the second casualty the rescue party came under enemy fire which killed the wounded Commando. While finally bringing back the third man Lieutenant Corey, who had demanded he be recovered last, Harden was shot through the head and killed instantly."